Good morning. It's Wednesday, Oct. 24. • Trump conjures a hallucinatory vision of California. • One of the continent's prettiest backcountry lakes. • And recalling a mass lynching in early Los Angeles. The Smith River along the North Coast is among the only rivers in California that remain undammed. President Trump has had a lot to say about California lately — much of it false. A Washington Post writer compared the state conjured by the president to "the fever dream of a Breitbart columnist." • Trump claimed there is a town council in California run by illegal immigrants. It was unclear what he was talking about. • He said Californians are “rioting” over sanctuary cities. Many residents oppose sanctuary policies. No riots have been reported. • He said California wildfires are costing taxpayers “hundreds of billions of dollars.” The real figure: About $1.4 billion over the past two years. • On water, he said state officials "send it out into the Pacific Ocean." Rivers in California flow naturally to the sea. Nearly every one is dammed or diverted to irrigate crops and fill drinking glasses. • He said in California, "they owe 2 million, trillion dollars." The state budget is expected to run a surplus this year. 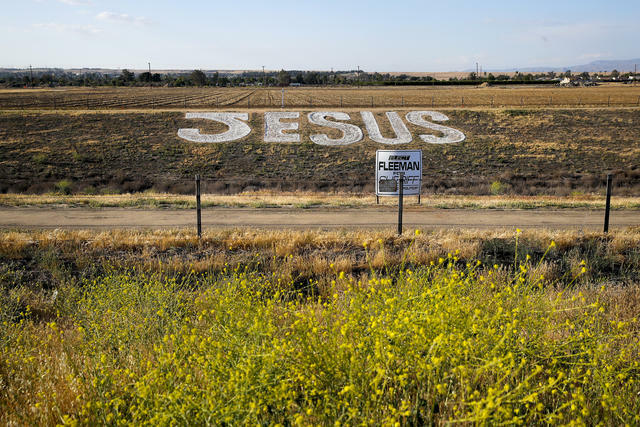 Read more in the Post, L.A. Times, and Sacramento Bee. California's sky-high housing costs are creating "echo booms" in places like Idaho and Nevada — where many California transplants have made their escapes. The exodus has also highlighted political divides. Julie D’Agostino, a liberal from the Bay Area, said she's happy in her $259,000 three-bedroom home in Boise. But it's been a culture shock, she said. "It was like, ‘What have I done?'" Races for superintendent of public instruction are traditionally sleepy affairs. Not this year. The contest between a Los Angeles Democrat backed by charter school forces and a Bay Area Democrat championed by teachers unions is California's most expensive state superintendent election in history — with spending to the tune of $44 million and counting. 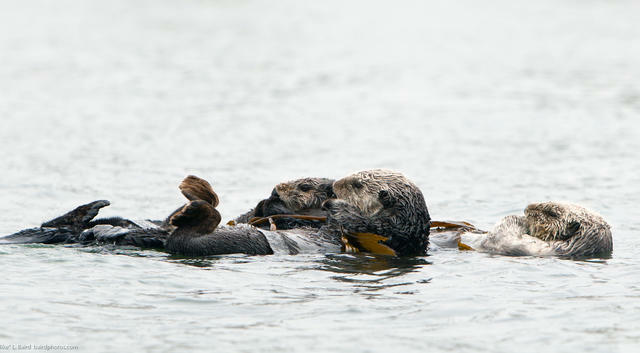 Sea otters rest in the kelp off Morro Bay. Kelp forests are in many ways just as important to the oceans as trees are to the land. But along California's North Coast, the tangles of brown seaweed are being mowed down by marauding "cockroaches of the ocean" — otherwise known as purple urchins. Climate change is a cause. 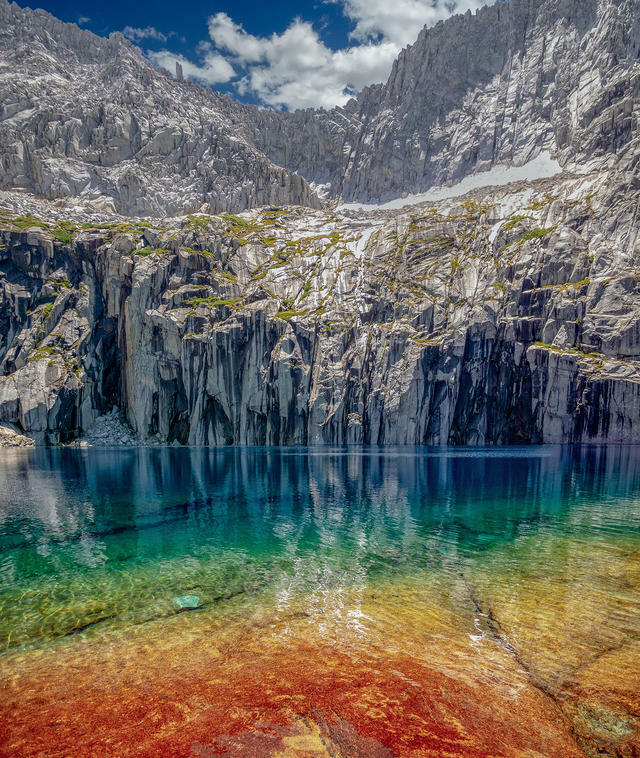 Precipice Lake is located along the east-west High Sierra Trail. Ansel Adams said one his favorite photographic subjects was Precipice Lake in Sequoia National Park. Nestled at 10,300 feet inside a bowl of sheer granite, the remote lake often stays frozen into mid-summer. Backpacker magazine called it one the continent's 20 best backcountry lakes. 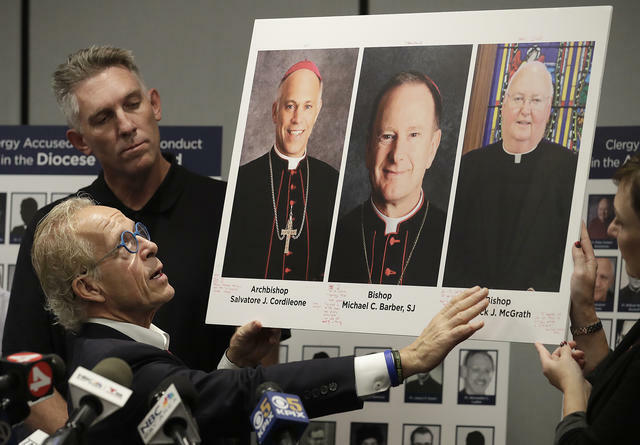 Attorney Jeff Anderson held photos of Catholic leaders at a news conference in San Francisco on Tuesday. Earlier this month, the San Jose diocese issued a list of 15 priests who were credibly accused of sexual misconduct. Now a Minnesota law firm involved in priest abuse litigation has published its own report. It named 33 accused priests in San Jose, along with 179 others in the Bay Area. The data, it said, suggests "an institutional cover-up of an enormous magnitude." Amazon opened its first Go store in California. The cashier-less store in San Francisco features ready-made items including meal kits, drinks, and candy. It promises no lines or checkout counters, relying instead on sensors to track purchases. More California stores are already being planned. "If you’re 7-Eleven," a retail expert tweeted, "the existential egg timer just started." A software engineer in San Francisco wrote an article arguing for more transparency around compensation as a way to close Silicon Valley's wage gap. She asked tech employees to share their compensation and thousands did. She started with her own: $233,000 a year. Tule elk are only found in California. 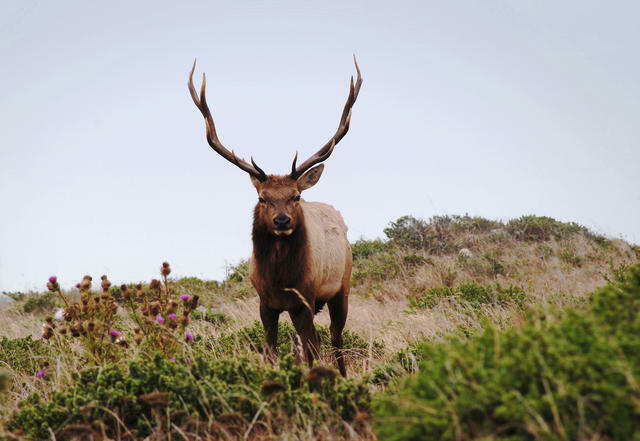 Dairy farmers want the government to kill some of the tule elk that roam Point Reyes, the cape north of San Francisco. The California native animals with magnificent antlers compete for grass with cattle ranches, whose own heritage on the seashore goes back generations. "We pay rent for those fields for our animals to graze, and they have to compete with the elk," one farmer said. "It’s tough." A giant nail was placed where a massive hammer had been in Healdsburg. Remember the great 800-pound hammer heist in Sonoma County? 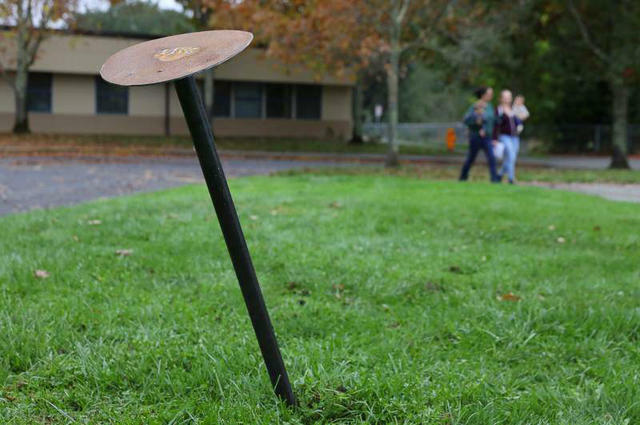 Now the mystery has deepened after an unknown prankster placed a 3-foot tall metal nail in the lawn where the massive hammer sculpture had been displayed. The word "bait" was etched on the head. Whether Orange County will experience a "blue wave" on Election Day remains to be seen. But there will be a Nguyen wave. A whopping 24 people of Vietnamese descent are running for office in Orange County, 13 of whom share the same last name, Nguyen. A sheriff campaign sign in Bakersfield, sometimes called the Texas of the West. "Over my career I've seen an officer alone do some pretty stupid things and sometimes illegal things but never a group of narcotics officers." Hundreds of pages of grand jury transcripts opened a window into one of the Kern County's biggest law enforcement scandals — involving meth, marijuana, and crooked cops. The Neptune pool was recently refilled after sitting empty since 2014. Hollywood luminaries once cavorted in the fabled Neptune Pool at Hearst Castle. Recently, regular people got a chance to dive in, too — for a hefty price. "My husband doesn’t know what I spent on this, just so you know," a retired school teacher told a reporter. Jacques-André Istel has added sights to his installation for decades, including a charming church on a hillside. 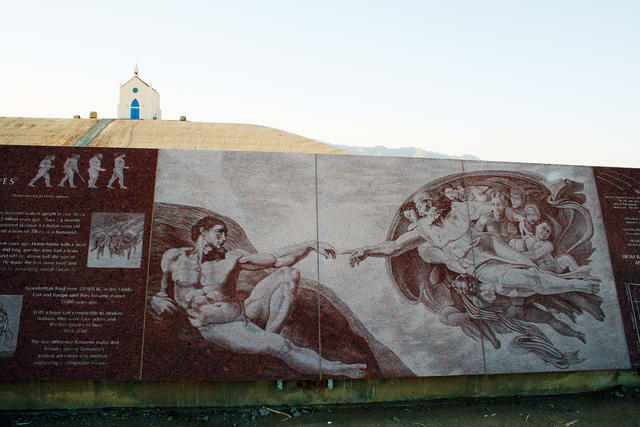 A visionary Frenchman carved the history of the world into rock in the middle of the Southern California desert. The Museum of History in Granite is an elaborate monument to humankind engraved with a record of major events from the Big Bang to the remote control and designed to last for millennia. Imperial County and France, for no scientific or political reason, recognized the site as the official center of the world. 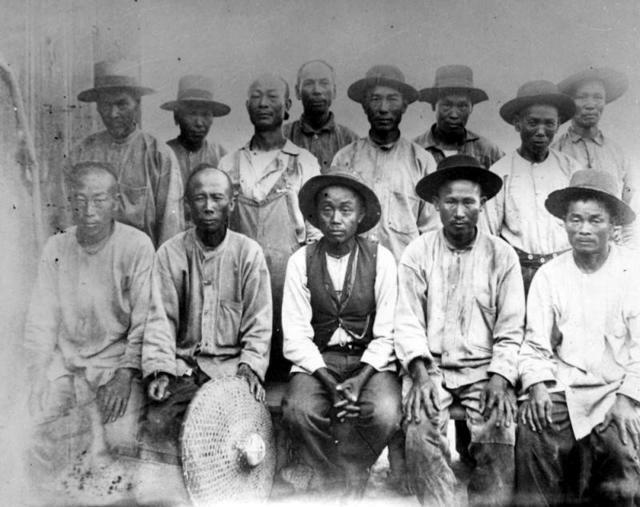 Chinese laborers in Los Angeles, circa 1905. 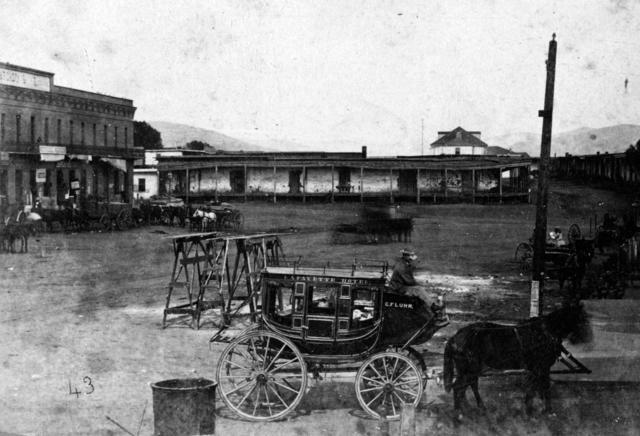 One of the worst episodes of anti-Chinese violence in the country’s history happened in Los Angeles on this day in 1871. A gun battle had erupted between two rival gangs in the Chinese quarter of what was then a small city of citrus groves. Accounts of what happened next are murky. But a police officer who intervened was wounded, and a white rancher was fatally shot in the chest. The killing inflamed the racist passions of white Angelenos, many of whom harbored resentment over cheap Chinese labor. The block where the Chinese massacre unfolded, circa 1870. On the night of Oct. 24, a mob armed with pistols began ransacking and looting the homes along Calle de los Negros — today a part of Los Angeles Street — where the Chinese congregated. "Trembling, moaning, and in some instances wounded Chinese were hauled from their hiding-places, and forced into the street, where the unfortunates were instantly seized by others outside, and ropes quickly encircled their necks, and with a run they were dragged to the nearest improvised gallows at hand." 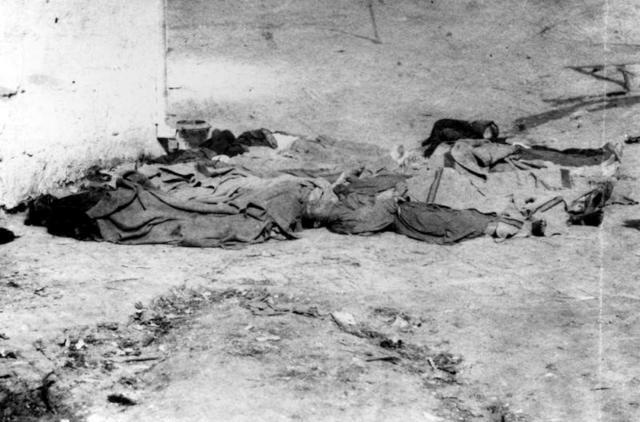 Bodies of the massacre victims were piled in a Los Angeles jail yard in 1871. By the end of the night, an estimated 17 Chinese males had been murdered, including a boy. It was described as the largest mass lynching in the country’s history. The massacre drew national attention and led to a grand jury investigation. Yet justice was never fully served. Prosecutors won manslaughter convictions against a handful of rioters, only to have them overturned on a technicality. Despite plenty of eyewitnesses, the defendants were never retried. This evening, 147 years later, a commemoration will be held at Los Angeles’s Chinese American Museum. The names of those who died will be read aloud, and a moment of silence held in their memory.